"The variety of the breakfast was great and the croissants ju..."
Have a question for Patios de San Telmo Hotel? "Stunning hotel, lots of beautiful art around." 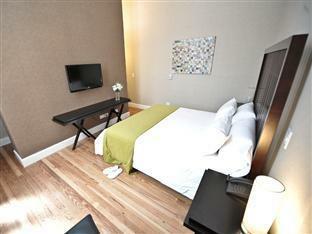 Whether you're a tourist or traveling on business, Patios de San Telmo Hotel is a great choice for accommodation when visiting Buenos Aires. The excitement of the city center is only away. Visitors to the hotel can take pleasure in touring the city's top attractions: Alma Buenos Aires, Museo del Traje, Centro Nacional de la Música. 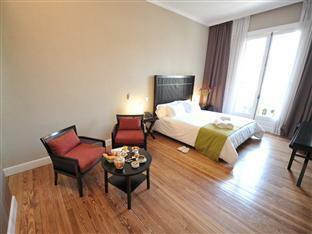 Patios de San Telmo Hotel offers impeccable service and all the essential amenities to invigorate travelers. For the comfort and convenience of guests, the hotel offers 24-hour room service, free Wi-Fi in all rooms, facilities for disabled guests, room service, restaurant. Step into one of 30 inviting rooms and escape the stresses of the day with a wide range of amenities such as television LCD/plasma screen, internet access – wireless, internet access – wireless (complimentary), non smoking rooms, air conditioning which can be found in some rooms. The hotel offers many unique recreational opportunities such as fitness center, outdoor pool. 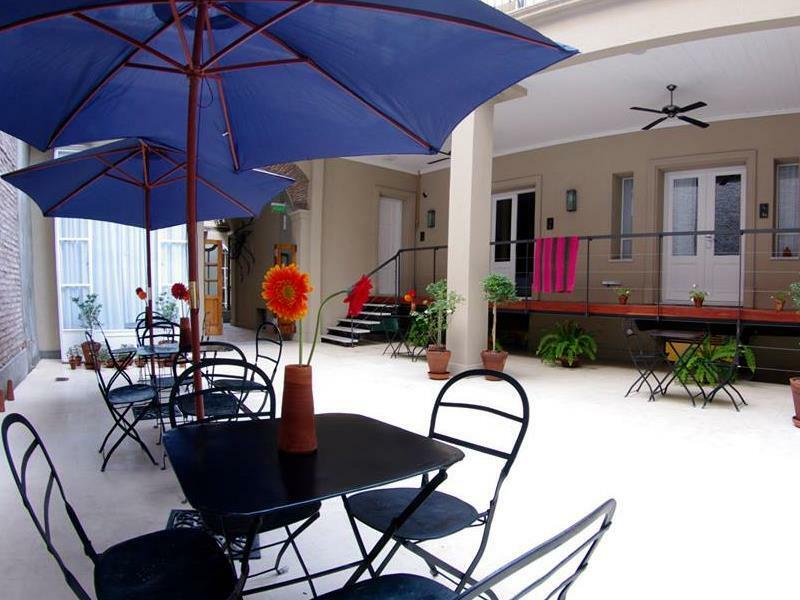 With an ideal location and facilities to match, Patios de San Telmo Hotel hits the spot in many ways. "Moreover, staffs are nice and helpful." Breakfast was not included for us, but we ended up paying there because it was really cheap in comparison with other breakfast you could find anywhere else. The variety of the breakfast was great and the croissants just baked. I like the San Telmo area which is full of restaurants and shops. The hotel itself has nice interior design and decor. The room (on the first floor, not sure about others) has high ceiling but the corner of the room next the bathroom is worn out/ not in good condition. I like that there are towels for body, hand, and the floor mat as well as black out curtains. Moreover, staffs are nice and helpful. 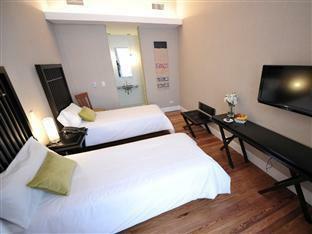 Loved staying here in San Telmo. So we'll located and great staff who are so helpful. 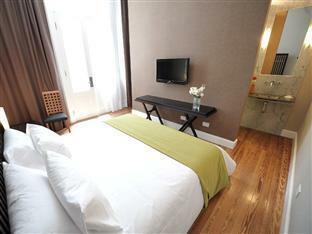 We enjoyed staying here, bed comfortable, the room was a bit smalll. In 2011 it won an award for best renovation. There is a small pool on the roof, wich we used everyday after walking the city. They also had some fun art and sculptures around the grounds. Loacation is in San Telmo, which is an older section of the city, some of it has been gentrified but some blocks are still run down. We walked everywhere during the day but took radio taxis at night. I recommend this hotel if you like staying somewhere with character and that boutique feel. Bright, airy if a little small rooms, looking out on the deck area. Was cold when we were there so we couldn't take advantage of that. Breakfast is continental, decent but nothing fancy. Staff are excellent and have very good English. Muy pintoresco y ubicado en una excelente zona de San Telmo con las principales atracciones de Buenos Aires cerca. Das Hotel befindet sich mitten im Viertel von San Telmo! Der Antiquitätenmarkt sowie zahlreiche andere Sehenswürdigkeiten sind zu Fuss gut erreichbar!